Discover the highlights of South Australia’s premier nature-based destination. Experience Seal Bay, getting you closer to nature as the wild Australian Sea-lions frolic and laze about on the beach. Visit Hanson Bay Wildlife Sanctuary and see Admirals Arch & Remarkable Rocks in the Flinders Chase National Park. See the highlights of South Australia’s premier nature-based tourism destination, Kangaroo Island. From Remarkable Rocks to playful fur seals, SeaLink guides will take you to Kangaroo Island’s natural highlights. 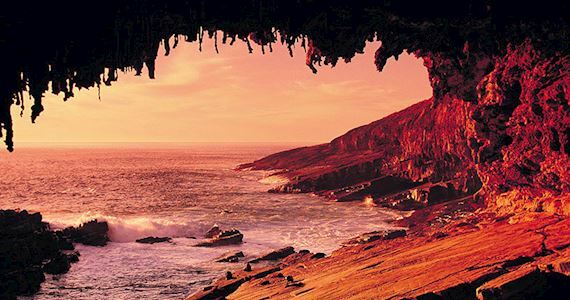 This is simply the best 1 Day Kangaroo Island tour available. Take a guided walk on the beach among a colony of rare and wild Australian sea lions with a National Parks Ranger. Head to Vivonne Bay Bistro for a two-course lunch. Spend the afternoon at Flinders Chase National Park, renowned as a sanctuary for native Australian animals including kangaroos, wallabies, koalas and echidnas.